The Victoria Traditional Bath Taps feature a timeless cross head design which is pleasing both to the eye and to the touch. 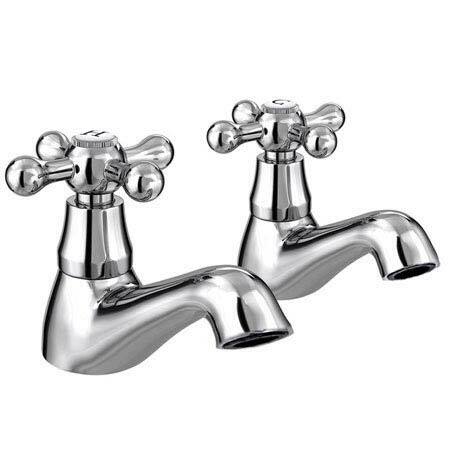 These traditional bath taps are finished in chrome, giving a really fresh, clean appearance. Comes with a 5 Year guarantee. These are as good as they look - heavy quality product - perfect!! They are first class and I am very happy with them. These are really lovely looking taps.